Last week, New York City experienced an earthquake and a hurricane– two natural disasters in the same week! Luckily we were all ok, but it was definitely a huge reminder that we cannot take the glitz and glam of the Big Apple for granted. This weekend, you can experience a previous natural disaster with never-before-seen objects on display at Discovery Times Square. 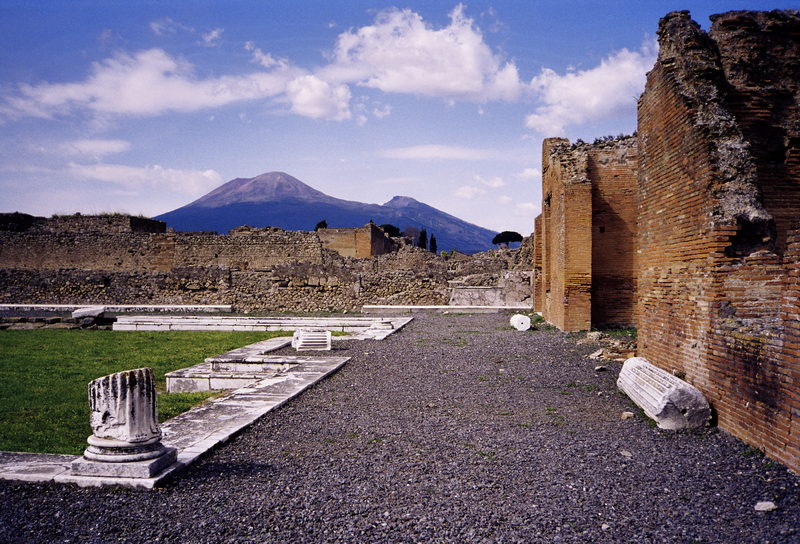 2,000 years ago during the Roman Empire, the city of Pompeii sat innocently at the base of Mount Vesuvius, a tall volcano. In AD 79, the volcano suddenly erupted, tragically burying the city under 4-6 feet of deadly ash and lava. Because the city was so distant from others, the city and people were completely forgotten, until its accidental discovery in the 18th Century! After years of careful digging, the uncovered artifacts and bodies of Pompeii have been preserved so that the world will never forget these innocent souls who’s lives were suddenly taken away. Visitors of New York City can now experience Pompeii The Exhibit until Monday, September 5th at Discovery Times Square. Yup! History buffs of all ages will be completely wowed by this exhibit and all of the artifacts that were frozen in time. What else is at Discovery Times Square? 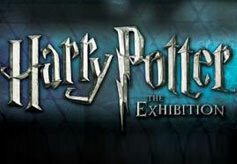 Harry Potter: The Exhibition. More than 200 costumes and props from the movies are on display for guests, young and old to experience. Where can I purchase tickets to these exhibits? 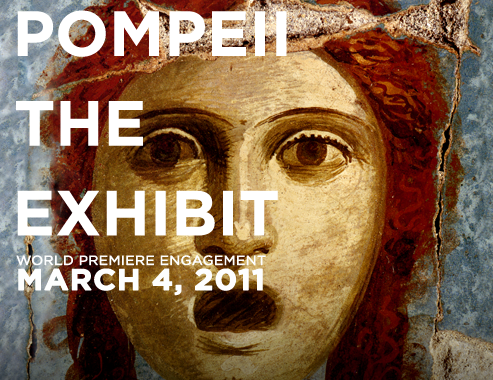 Click here for Pompeii: The Exhibit. Click here for Harry Potter: The Exhibition. Due to the impending Hurricane, Gray Line New York will not be operating any tours on Saturday, August 27th or Sunday August 28th. We will hopefully assume operations as normal on Monday, August 29th. All tickets purchased on Friday will be valid for Monday’s tours. All tickets purchased for Saturday and Sunday will be honored on Monday. If you have not yet redeemed your voucher, it is valid for a full year before it expires. If this does not fit your schedule, please contact us for a refund: Info@GrayLineNewYork.com or call 800-669-0051 (toll free) or 212-445-0848. As of Friday, August 26th at 4:10PM, this is the projected path of Hurricane Irene via The New York Times. Click here for updates from the NYC Mayor, Mike Bloomberg. Click here for Hurricane Evacuation Zones. You’re standing smack dab in the middle of Times Square. There are 5 million restaurants flashing “Open” signs at you. All you know is that you need food. Right. Now. For first time visitors of NYC (heck, even for locals), it’s definitely extremely easy to feel this way. When my family and I first visited the Big Apple, we literally walked up and down just about every street surrounding the Times Square central plaza. Eventually, we all decided upon Heartland Brewery, but boy oh boy did it take us forever to make that decision. This little card takes the hassle out of the ever daunting, “So.. ..where should we eat?” question. The Eat and Play Card is basically a discount card that is good for up to 4 people and provides 10-50% off at over 100 participating restaurants in NYC. The form lists the Name of the Restaurant/Lounge, Discount %, address with the cross streets (very helpful in NYC), phone number and neighborhood location. 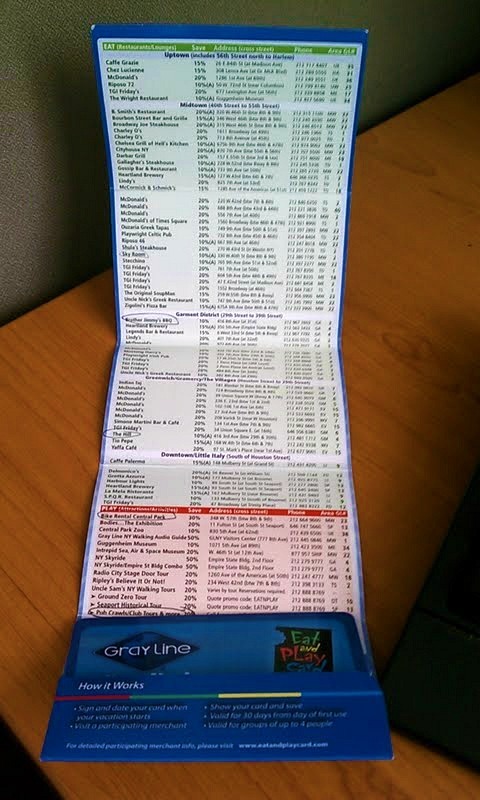 If you have a Smartphone, this setup makes it super easy to locate these restaurants. As soon as you hop-off of your NYC double decker bus tour, plug the restaurant address into your Google Maps Mobile App and you’ll be good to go! I moved up to NYC about a year ago, so I’m pretty excited to use my card at a few places I’ve been meaning to try – Brother Jimmy’s BBQ, The Hill (sports bar), Sky Room (rooftop lounge), Bike Rental in Central Park and the Pub Crawls/Club Tours. The card is valid for 30 days from first use, so you’ll have an entire month to receive these great discounts. For a family of 4 eating out for every meal in NYC, you can easily save over $100 every day and double your money back with just one use. Click here to learn more about the Eat and Play Card. What restaurant do you want to eat at in NYC? 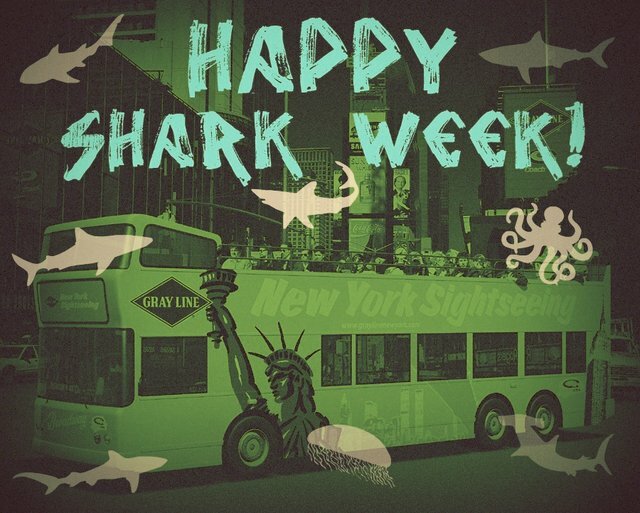 Happy Shark Week from the Gray Line New York crew! That’s right friends, we’re excited to announce the official launch of our New York City Boat Tours! 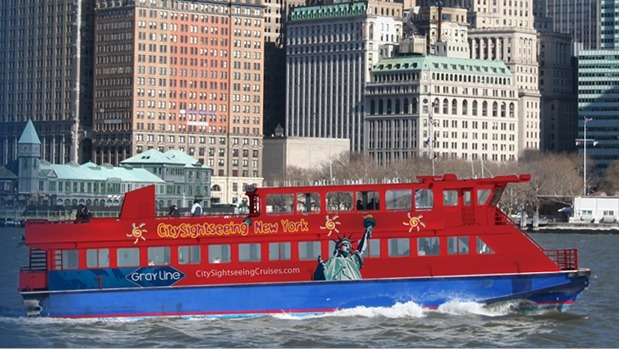 CitySightseeing Cruises New York has officially set sail in the New York Harbor and you can either book a tour online or at the CitySightseeing Visitor Center located at Pier 78. Make sure to upload pictures to our Facebook Wall after your cruise!